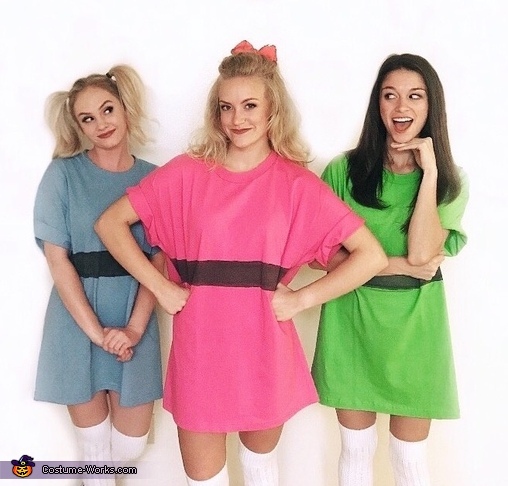 My roommates and I decided to be the Powerpuff Girls this Halloween. Bubbles (Charlotte) on the left, Blossom (Monica) in the middle and Buttercup (Morgan) on the right. These DIY costumes were very simple and little prep time. We bought large t-shirts, white knee socks and black paint to paint the band on the t-shirt. Super simple yet cute and easy costumes for any Halloween party.